Talking to kids about climate change can feel daunting. How do you explain that, if consensus among the scientific community is correct, humans may soon be responsible for triggering the most devastating ecological collapse since the demise of the dinosaurs? To some parents this might hardly seem like an appropriate topic for PG dinner-table conversations, and at the surface it seems reasonable for adults to worry that discussing climate change might cause kids anxiety. Yet even as adults continue to grapple with the issue—some speaking out and others denying it—children across the globe have become the leading voices demanding we give the issue of climate change our full attention. After all, it is their future at stake. The latest Intergovernmental Panel on Climate Change report published by the United Nations in December 2018 predicts people only have 12 years to reign in carbon emissions before the effects of climate change spiral out of human control. On March 15, an estimated 1.4 million students took to the streets in 2,000 cities around the world in a Global Climate Strike to demand leaders take immediate action. 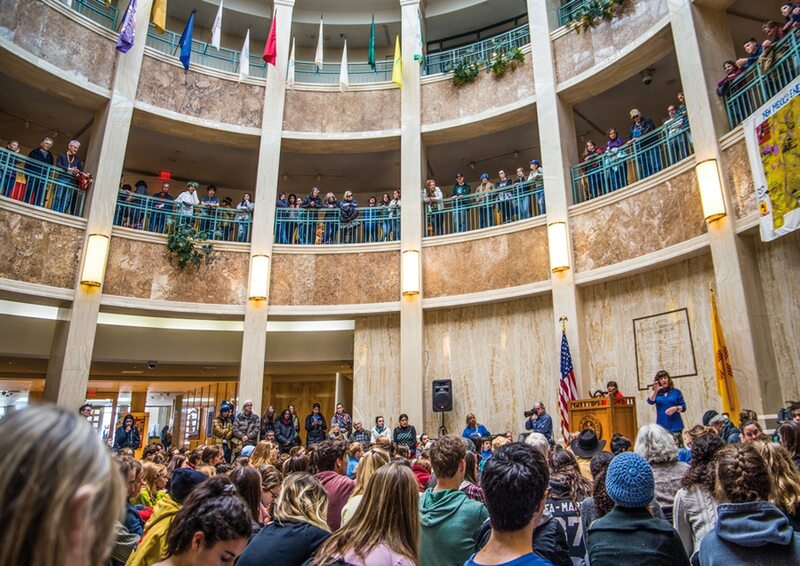 In Santa Fe, youth gathered at the Roundhouse on one of the last days of the Legislative session to get the attention of local politicians. The message is clear: Kids want us to engage. "We just want adults to listen to us!" Sierra Woosley, 9, tells SFR through an interpreter in the library of the New Mexico School for the Deaf. "People are destroying the environment and they think it's okay, but it's not. We are part of nature and if we destroy nature, we will destroy ourselves. Grown-ups need to believe us, because kids have been doing research and finding facts about things that grown-ups don't realize yet, or maybe just don't want to realize. Kids should be able to grow up and have jobs and good lives and a good future. We don't want other kids to lose hope. And so, we need the adults to help us take care of the world." Sierra is a leading member of the Global WE, an after-school program formerly known as the Global Warming Express, where students learn about the science and facts behind climate change and how to implement solutions in their schools and local communities. At the climate strike in March, Sierra told the crowd that she is deaf-blind and has a brain tumor, but that these disabilities have taught her lessons in facing difficulty and discomfort which she hopes to share with other kids. "Be strong and resilient. Learn the facts. But don't let them scare you too much," she said. If anyone knows the meaning of resilience, it's Sierra, and mental health experts say that's a key concept for youth dealing with climate change. Marilyn Price-Mitchell, a child psychologist and author of Tomorrow's Change Makers: Reclaiming the Power of Citizenship for a New Generation, defines resilience as "the capacity to grow from adversity. … When we support and encourage them as they take risks, overcome challenges and grow from failure, successful kids learn to bounce back from life's ups and downs." Elizabeth Haase, a practicing psychiatrist in Nevada and producer of a film about the psychological impact of climate change on kids, says trying to protect children by not talking to them about the issue may actually do more harm than good. "Kids are not fools," she tells SFR by phone. "They have a pretty good nose for deceit, and obviously this is all over the news. They're going to find out about it somehow, and if it's through the doom and gloom of the internet or through the misinformation of their peers, they are much more likely to feel afraid if they sense that it is not something you are willing to talk about." Haase tells SFR recent studies found 70% of Americans feel significant anxiety about climate change, but only 20% ever talk about it. This can leave kids with the understanding that it is something they should be afraid of, but their fear should be hidden—a strategy that easily leads to apathy, hopelessness or denial in people of all ages. Genie Stevens, a local parent who founded the group now known as Global WE, tells SFR "our social norms have been that, as a worldwide culture, we don't speak up very much. We tend to go with the status quo and imagine that other people know more than us and are more in charge. And I think that has got to change now. Resilience is going to be paramount, and it is going to be a new conversation for us. So when we are working with the kids, that is going to be our leading edge—how to use your voice and how to engage with others to create resilience." The consensus, it seems, is that we need to start talking to our kids; the question is how to do it in a way that inspires agency and hope. 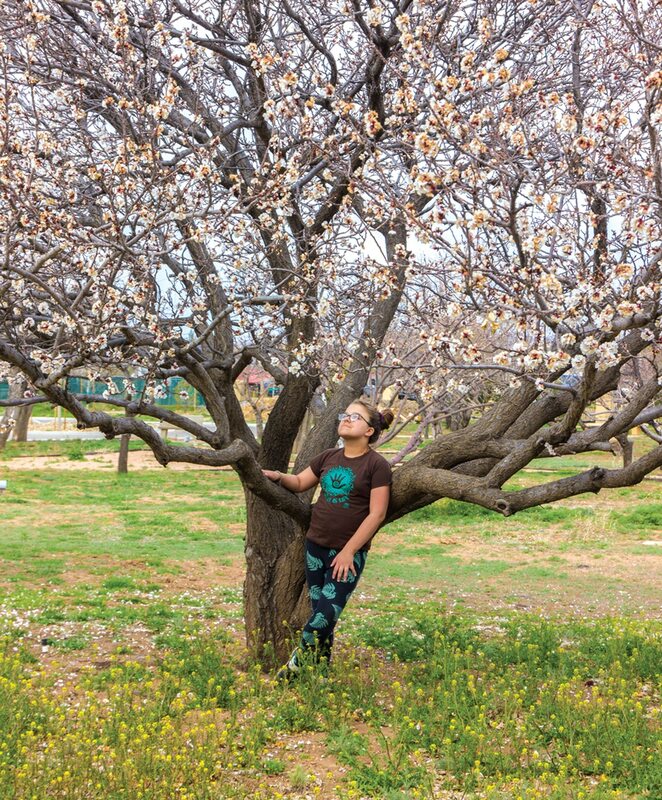 Santa Fe educators who regularly teach kids about sustainability and climate change already have an approach. They say when speaking with younger kids, localizing the problem and providing opportunities for action are most important. "Education needs to happen through action and civic engagement," says Stevens. "You have to take baby steps. Present them with information on the problem, the basic science that explains it, and then go immediately into solutions. Kids need to know that their voices matter now and will matter even more as they get older. But without the support of adults, it's just kids against the world. Our role as adults is to help them figure out what actions they want to take in their own communities and support them in making that happen." The Global WE program grew out of Stevens' own daughter Marina's questions about the changing climate and her determination to do something about it. When she was 6, Marina became inconsolable upon learning about the plight of penguins facing extinction due to melting ice caps. The little girl began writing letters to President Barack Obama. As she got older, she told her mother she wanted to write a book to educate other kids and started a group at her school to get more students involved. The program, which began at Acequia Madre Elementary School, has seen some remarkable successes. Thanks to funding and staff from the Sierra Club, it has expanded to a handful of schools across the state. 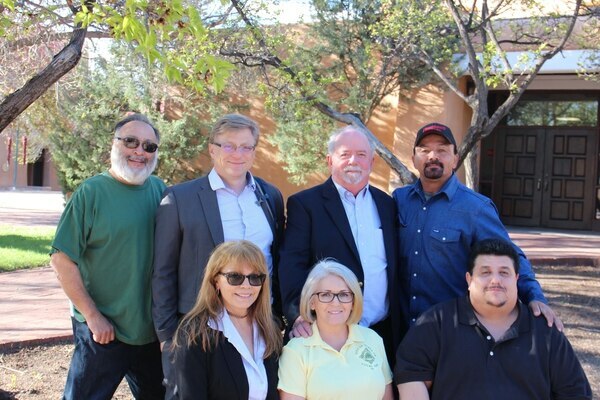 At Acequia Madre, students successfully lobbied to remove plastic water bottle vending machines, won funding and city support to solarize the school, and helped successfully lobby the city of Santa Fe to ban plastic bags. Wild Friends is another program that helps kids become civically engaged in the policy side of environmental issues. 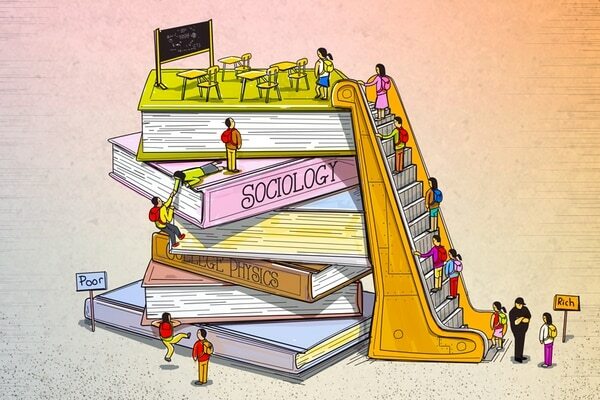 The program, which is based out of the UNM School of Law, creates a curriculum used by teachers in public school classrooms across the state to teach a topic students choose by casting a ballot, and help students draft a policy they present at the state Legislature. Director Susan George tells SFR its approach is about finding an issue that could garner bipartisan support and could have a direct impact in children's communities. 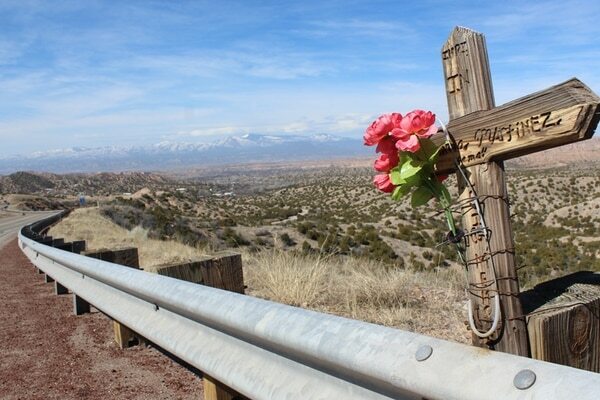 This year, students successfully promoted legislation to create a special license plate, the proceeds of which will go to New Mexico Department of Transportation projects to establish pollinating plants along roadways. Ed Gorman, who participates in the Wild Friends program with his fifth-grade dual language class at El Camino Real Middle Academy in Santa Fe, tells SFR his students recently completed a project on climate change to decide for themselves if they believe the science. Some kids in his class tells SFR that they have felt afraid for as long as they can remember. "The world is dying, it could end in our lifetimes," says Kai Hamilton. Rurabi Cerda adds, "If I die with my family, that would be okay, but I feel really scared sometimes that a fire or storm will come and we would die separate." "When I feel scared," says Antonio Almuina, "it makes me feel better to do something to help the animals, like we did with the license plate—" and Genesis Lopez interjects, "God wants us to save them, because the animals are His children, too." Gorman says most of his students come from low-income backgrounds and speak English as a second language. He tells SFR the fact that these kids face so many challenges in their personal lives makes their participation in policy engagement that much more powerful. "You should have seen them talking to the legislators and realizing that their voice matters and that they have power to affect the system," he says. Todd Stiewing, the principal of the Santa Fe School for the Arts and Sciences, tells SFR that climate change is integrated into the project-based experiential learning curriculum at the private school. "We try to give the kids a piece they can have success with so they learn that there is something they can do, and so they know how to go out and find skills to be able to do it," he says. The school's fifth- and sixth-grade teacher, Matt Newsum, teaches a project in which students measure the environmental impacts of their personal choices and the food they eat, and the school keeps a beehive to teach kids about pollinators. In the garden, the youngest students learn about the plants that provide food for the bees. Price-Mitchell, the psychologist, tells SFR the anger and betrayal expressed by youth at the climate strikes across the world are signs "climate change has begun to have a significant psychological impact on children." She says anger is actually a healthy response to the crisis, especially when channeled into civic action. "I worry more about the mental health of children who feel numb and helpless," she says. "These children are more prone to hold their feelings inside and are at risk of depression and anxiety in their teen years." Yet just because a kid learns about the destruction of the environment at an early age and engages in youth activism does not guarantee that the natural turbulence of adolescence won't be exacerbated by feelings of anxiety and depression about climate change. Marina Stevens, whose tenacity and curiosity got the Global WE off the ground, is now 16. Chatting with SFR in a local coffee shop, she says it's been a few years since she's been involved in climate activism. 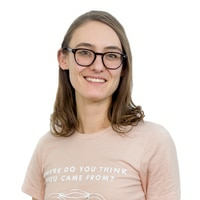 She confides that her hiatus is partly due to a sense of dismay and frustration at realizing nearly a decade had gone by since she was a child writing letters to Obama, and despite all of the things she and her friends managed to accomplish in Santa Fe, very little has improved at a federal or global scale and the climate crisis has only gotten worse. But Marina also says participating in the climate strike has inspired her to re-engage with climate action, and she is ready to dive back into the cause. As kids become teenagers, they become much more capable of understanding the full complexity and scope of the problem, writes Elizabeth Allured, a member of the Climate Psychology Alliance. She tells SFR by email that as teens go through adolescence, they are much more likely to feel betrayed and distrust adults. Adults cannot help teens through this distress, she says, unless their words are backed up by actions that show they are also concerned and also trying to do something. 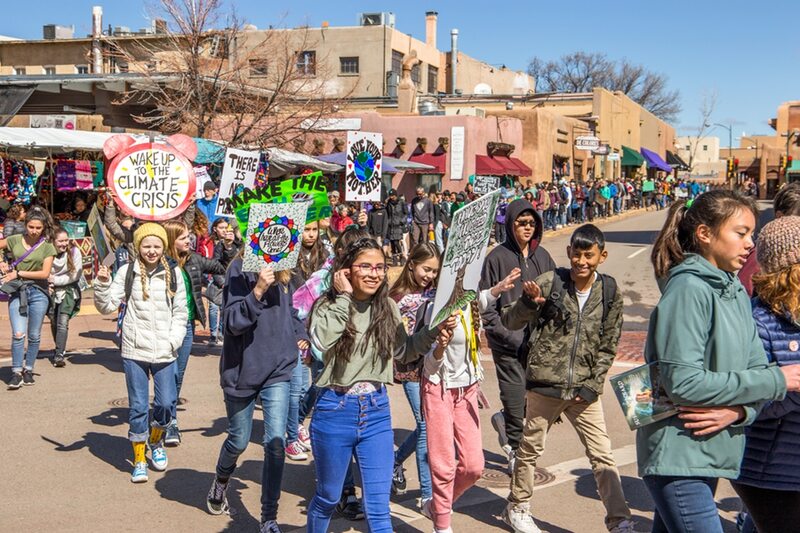 "Honestly, I feel heartbroken," says Santa Fe Waldorf School senior Hannah Laga-Abram, an 18-year-old activist who worked with students at seven other high schools to organize Santa Fe's youth Climate Strike. She describes her feelings of anguish about the destruction of plant and animal life on earth, and her fury toward a system in which the few get rich at the expense of the young. "I feel so much grief that we as a society are not really willing to change course," she says, "and I'm just heartbroken that so many folks are too stuck in their everyday lives to notice what is being lost." Psychiatrist Haase tells SFR the existential threat of climate change has thrown the disciplines of psychiatry and psychology into uncharted waters. Until recently, she says the role of the therapist has been to manage, reduce and dispel the anxieties of the patient. But that strategy doesn't work the same way when the problem is the very real and ever-present threat of self-inflicted global ecological collapse. The anxiety this causes puts us in a "state of disavowal," which, as Haase explains is "when you are aware of knowing something but acting as if it is not true. So you are essentially always in a state of inauthenticity and lying to yourself and feeling the stress of doing that." Anyone who believes that climate change presents an immediate threat but continues to participate in activities such as driving cars and eating meat is likely to experience some degree of disavowal. 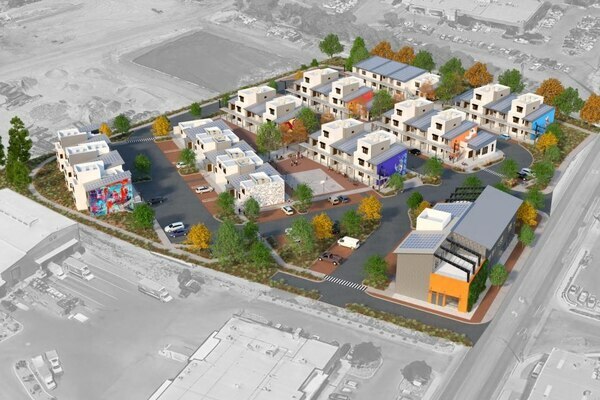 Haase tells SFR, "This is actually not a place where we want to reduce fear; it's more like the building is burning, you don't want to stop feeling worried about that, and effective action is really the only way out. 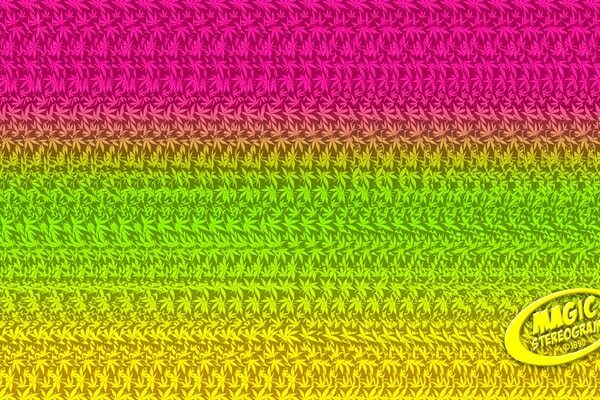 And so, helping people identify that as a strategy is really really important, along with self-soothing techniques and mindfulness." Hannah is a teen mentor to elementary school kids in today's Global WE, and she says despite sometimes feeling despair over the big picture, she still believes what the kids accomplish matters. "Those little moments that I think change the conversation within a small community—that's where you get hope, and that's where real change can come from, because people are connecting and people are conversing," she says. Any hope to cap carbon emissions at the levels called for in the IPCC report will take a massive shift in energy policies at a global scale. Without these international policy initiatives, actions taken at the scale of the individual will be virtually meaningless. Yet only an uprising of individuals taking action is likely to catalyze large-scale change. The youth climate strikes are an example. They didn't simply happen out of nowhere; all over the world, youth have been working hard for a long time to push the issue into the spotlight. In the US, the Sunrise Movement led by young people has brought climate change to the attention of the nation, and inspired US Reps. Alexandria Ocasio-Cortez and Ed Markey to introduce the Green New Deal in Congress. In this global and national context, the climate strikes served as a single unifying moment in which young people were able to connect, lift each other up, revitalize their efforts and inspire new avenues for action. While Santa Fe students didn't have to leave class without permission to gather for the strike, the gathering spurred other action. 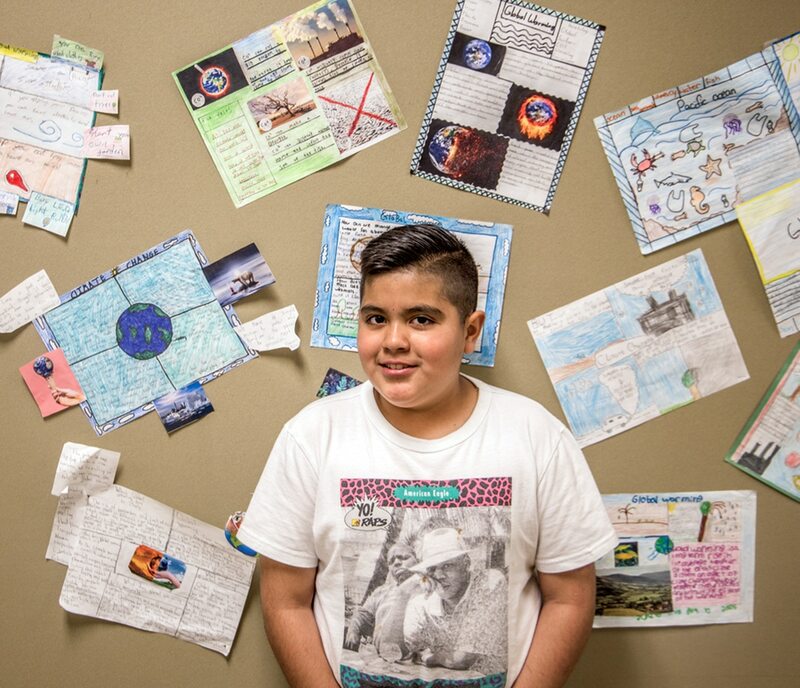 Seventh-grade students at the Santa Fe School of Arts and Sciences approached their history teacher Geetha Holdsworth with renewed concerns about climate change, and so she organized a debate unit examining its geo-political consequences. One student, Merrick Word-Brown, tells SFR he is looking into how the Citizens United decision has allowed oil money to influence decisions made by Congress. Two other students, Isa Clark and Helena Merlino, are investigating the role of oil and gas money in funding public education. In 2018, the New Mexico Legislature passed a memorial calling for a study of the effects of carbon pricing, written and introduced by a student group from Santa Fe Prep. 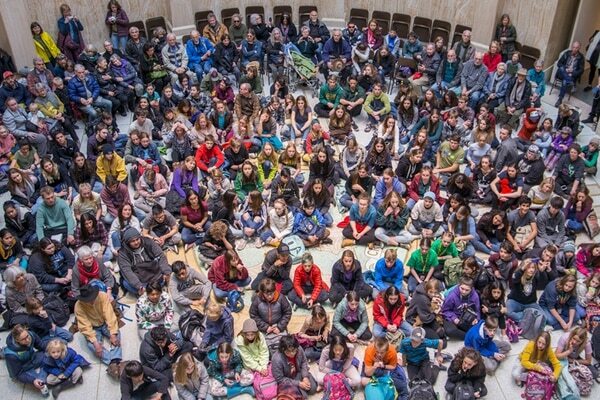 This year, the high school students drafted a bill that would have established a carbon pricing plan. 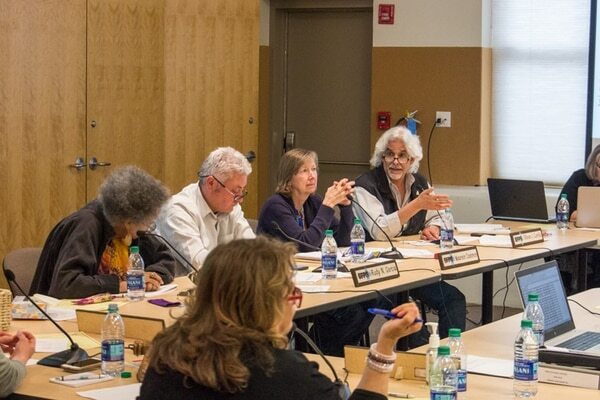 Though the bill stalled in committee, Tabatha Hirsch, one of the students involved in the group, tells SFR the students plan to get it reintroduced next year. The strike event allowed them to network with students from other parts of the state. "We want to reach out across New Mexico to other students who are interested in climate action," she says. Tabatha, who was part of the Go Green Club at Wood Gormley Elementary, says her involvement in climate action as a child has made her a more effective activist as a teenager. She says many of her friends who didn't start young are not engaged in activism today. "I see a lot of my friends who didn't do Go Green Club when they were little being equally or more afraid of climate change, but in a distant way where it's like, 'It's gonna happen and there's nothing we can do.' Whereas a lot of my friends who started young, it's not even a question whether they're going to continue," she says. She adds, "It's important to have fear and concern to be driven to action, but if we don't think that any solution is possible, then I don't believe that anything can really change … I think that I maintain my hope because for me, there's no other option." Hannah says what angers her most is adults who tell her the youth give them hope, but are unwilling to take personal action. To those adults, she says, "You're here too, you can do something too. I'm glad that I give you hope, but give me a reason to tell you the same thing." "Your feelings are valid," she says. "Go outside and remind yourself of how beautiful and wild and magical and crazy this universe is, and then start talking and asking people questions and bringing up the uncomfortable conversation, and you might be surprised at what you find. … I think that more people are experiencing these things than are willing to admit it. But once you start talking to people and start forming networks, you will start feeling the support that is out there. And then together, we can move towards action."